Mirza Natadisastra is a research analyst at BowerGroupAsia’s Indonesia office. At BGA, Mirza provides analysis, regulatory research, and supports IT, finance, and consumer goods companies. His particular strength is assisting companies to develop integrated in-country strategies that are aligned with their overall business objectives and geared at solving business challenges and operations. Mirza also helps companies to understand Indonesia better by building relationships with relevant government stakeholders. Mirza’s previous experience with NHK TV and Burson Marsteller has shaped his strong interest in the economic growth of Indonesia and Southeast Asia. He monitors how the region is playing a bigger role in the global commercial architecture, and how governments and businesses adapt to developments in the region. He closely analyzes the impact of and opportunities for companies as ASEAN joins other regional trade and economic integration agreements. Mirza has a Bachelor of Arts degree in journalism from the University of Technology in Sydney and a Master of Arts in Digital Media from London Metropolitan University. Mirza believes Australia as a strategic partner can help Indonesia become a more developed nation, by working together with Indonesia to develop a pool of knowledge across education, infrastructure, bureaucratic, governance and trade sectors. 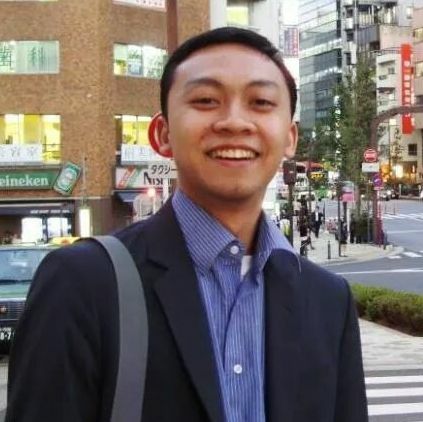 Alfan Amiruddin is a Junior Diplomat in the Ministry of Foreign Affairs of the Republic of Indonesia. 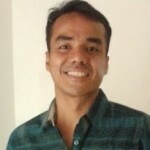 In 2008, he graduated from Universitas Padjadjaran with a Bachelor of International Relations. Since joining the ministry in 2009, Alfan has worked in the North and Central America and Public Diplomacy Division. In his tenure in the Ministry, he has been actively involved in people-to-people diplomacy programs such as the 2011 ASEAN-China Youth Leader Exchange in Nanning and Host the Indonesian Arts and Culture Scholarship (IACS) in 2012. He has a deep interest in cultural diplomacy, security studies, and voluntarism. He also earned an Australia Awards Scholarship in 2012 and will this year finish his Masters of International Security at Sydney University. Alfan believes people-to-people exchange is the most important aspect of Indonesia-Australia Relations. He hopes that there will be an increase in government driven student or youth exchanges between the two countries to increase the bottom-up process of understanding between the two countries. Alfan believes the two countries have a lot to learn from each other. Fitri Bintang Timur is a researcher and looking at subjects including women in security, gender in politics, and security sector reforms. Having grown up in Jakarta, her focus area is Asia and the urban Muslim population. 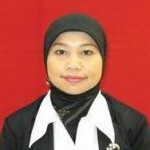 Fitri obtained her Bachelor of International Relations degree from the University of Indonesia in 2006 and a Masters of Defence Management from Bandung Institute of Technology in 2009. She has worked as a researcher at Dormund Technological University in Germany and Nanyang Technological University in Singapore. Currently, Fitri is working on her PhD thesis at Cranfield University in the UK, on the topic of women in peacekeeping operations. She is also a research contributor and editor to an Indonesian think-tank Institute for defence, security and peace studies. Fitri believes with their close proximity, Australia and Indonesia can build a trusting relationship as a base for forging strategic partnerships, especially in the security sector covering important issues such as maritime boundaries, refugees, joint security training and military personnel movement in the region. 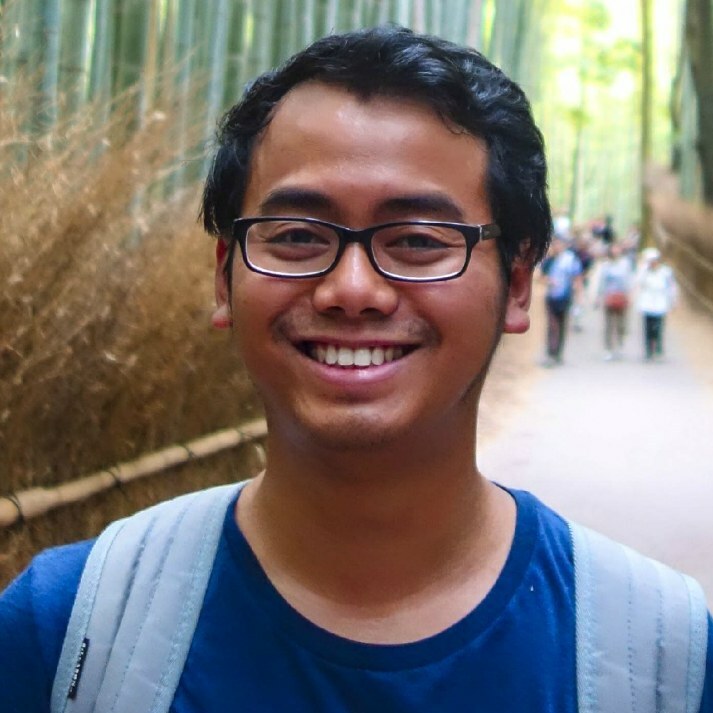 Karim was born and raised in Jakarta and moved to Melbourne shortly after graduating high school to pursue a degree in Political Science at Monash University. Since then, Karim has returned to Indonesia to pursue a degree in Law at Universitas Pelita Harapan. 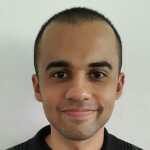 During his time studying law, Karim has participated in the 19th Annual Willem C. Vis International Moot Court in Hong Kong as an Oralist representing UPH, worked as a Management Associate at Systec Group Ventures, a local venture capital company, and has been SMB Marketing Coordinator for Google South-East Asia. 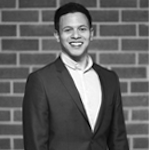 Karim is passionate about Law, Technology, and Science, and hopes to one day run a commercial outer space travel company. Karim believes the best argument for strong Australia-Indonesia bilateral ties is their proximity to each other. There is much to learn for both countries from each other as Indonesia enters a new era of increased democracy, coupled with the emergence of the AEC in 2015. For Australia, the advent of the AEC could mean rapid economic growth across the region, and the establishment of several manufacturing and trade partners that would be indispensable in the future. Natasha is a currently working as Associate Director of the President’s Delivery Unit for Development Monitoring and Oversight (UKP4) as an Outreach and Network Coordinator for the High-Level Panel on Post-2015 Development Agenda Indonesia Principal Team- where President Yudhoyono acts as one of the Panel’s Co-Chairs. She has completed a Bachelor of International Relations at Airlangga University, and a Masters in Public Policy, specialising in Economic Policy at the Crawford School of Economics and Government, ANU. Her experience in youth advocacy and international diplomacy ranges from leading a National Model United Nations team, being selected to be an Indonesian Youth Delegate to the 68th UN General Assembly 2013 and serving as the co-chair of the youth-led initiative, Indonesian Youth Diplomacy. Olivia is an environmentalist who has been dealing with environmental policy issues in various roles over the last six years. She is founder and project director of the Youth Ecopreneurship (YEP) Camp, an initiative to reduce unemployment in Indonesia while growing environmental awareness. As a youth advocate, she has represented Indonesia at various international events including as a youth delegate at the G-20 Summit in Toronto, a head delegate at the Model United Nations in Beijing and a panelist at the Asian Youth Conference in Phnom Penh. Olivia holds a bachelor degree in International Relations from University of Indonesia and did non-degree studies at Swinburne University and the University of Montana, both under full scholarship. She is currently completing a Masters of Environmental Management and Development at ANU under the Australian Awards Scholarship. In addition to her scholarship, she was also awarded the prestigious Alison Sudradjat Prize. Olivia believes that a strong and stable Australia-Indonesia relationship is important for the environmental policy cooperation between the two countries. Pandu Utama Manggala currently works as an Indonesian diplomat. He has served as the President of the Student Executive Body (BEM) of FISIP Universitas Indonesia in 2008, as well as being named Bintang FISIP UI 2008 and Danamon Young Leader in 2009. In 2013-2014, he was elected as the President of the Indonesian Students’ Association in the Australian Capital Territory while taking his Masters Degree at the Australian National University. Pandu is an Australian Awards Awardee and recently completed his Double-Master Degrees of International Relations and Diplomacy from the ANU with first class honours. His MA Thesis, ‘Sangkan Paraning Dumadi: the Mandala System and Southeast Asian International Relations’ was also awarded as the best thesis of 2013 from Department of IR, ANU. Prior to this, he was assigned a short posting at the Indonesian Embassy in Tokyo, and worked as the secretary to DG for Asia Pacific and African Affairs. His writings have been published in several journals and newspapers. He is also the head editor of the book ‘Mengarungi Samudera yang Bergolak: Sumbangan Pemikiran Diplomat Muda Indonesia, published by the Indonesian Ministry of Foreign Affairs in 2010. Pandu believes the value of people-to-people contact and building social harmony are central to strengthening the Indonesia-Australia relationship. He recognises that the young generation have an important job in promoting better understanding between the two countries. Kyana is an International Relations graduate as well as a moderator, writer and assistant researcher. 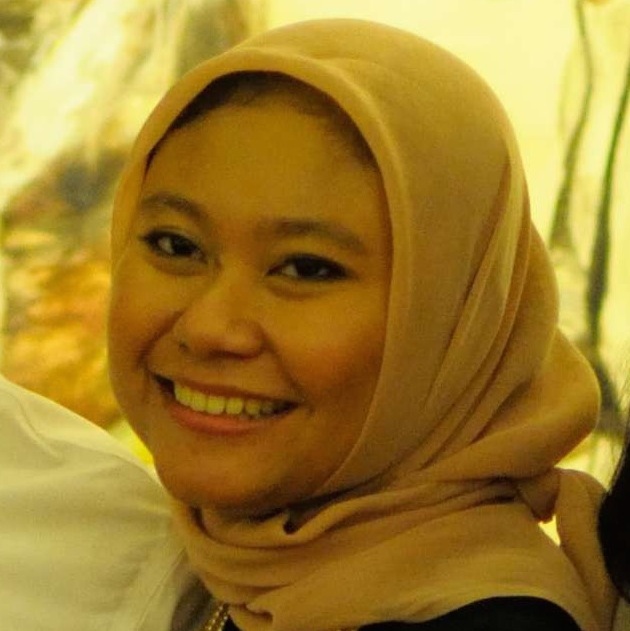 At University, she was active in development studies and Asia-Pacific regional studies which led her to analyze Australian Foreign Aid in Indonesia for her final thesis. She has attended several international forums and conferences in Thailand, Georgia, USA and Australia. She is also the founder of a non-profit organization named Buku Berjalan Indonesia, where she has volunteered for two years as Chief Executive Officer. 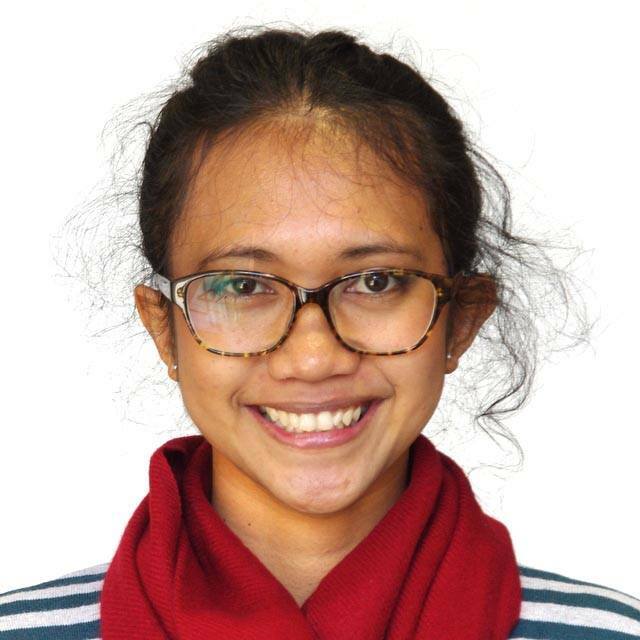 Her involvement in community development brought her to be the only Indonesian representative at the High Level Youth Summit on the Millenium Development Goals in Melbourne, Australia. She is currently working as an intern for the Green Prosperity Project, Millennium Challenge Account Indonesia. Kyana hopes to be able to continue working in the development sector as a consultant and lecturer. Kyana believes that although there are ups and downs in the bilateral relationship, Australia and Indonesia need each other due to geographical proximity. This is why, the most important part of the bilateral relationship is mutual understanding between individuals. Kyana is a strong believer in community empowerment. Siti is an alumni of the School of Humanities and Social Sciences, the University of Melbourne, where she completed a Masters Degree in Global Media Communications, with research on how two mainstream Australian media, The Australian and The Age, portrayed the first Australian female Prime Minister, Julia Gillard. She also holds a Bachelor of English Education from the State Islamic University, Syarif Hidayatulloh, in Jakarta. 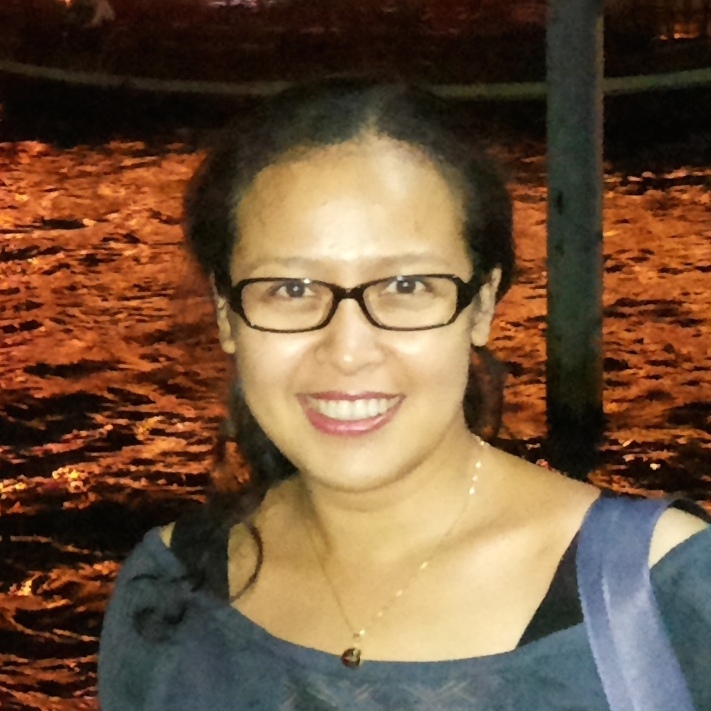 Siti worked as an English-Indonesian translator in the Indonesian Vice President’s office. She is currently assigned as the head of the sub-division of General Media in the Vice President’s Office. One of her responsibilities is disseminating the Vice President’s strategic programs through an official magazine, Merdeka Selatan. Siti believes that media plays a key role in both strengthening and weakening Indonesia-Australia relations. The Australian and Indonesian public look at each others’ countries from the news and opinions that are portrayed in the media of both countries. She hopes that media does not merely broadcast news but also upholds the values of openness, honesty, mutual respect, and impartiality. Aditya Tumakaka is an Indonesian lawyer currently living in Melbourne studying the Juris Doctor at Melbourne Law School. 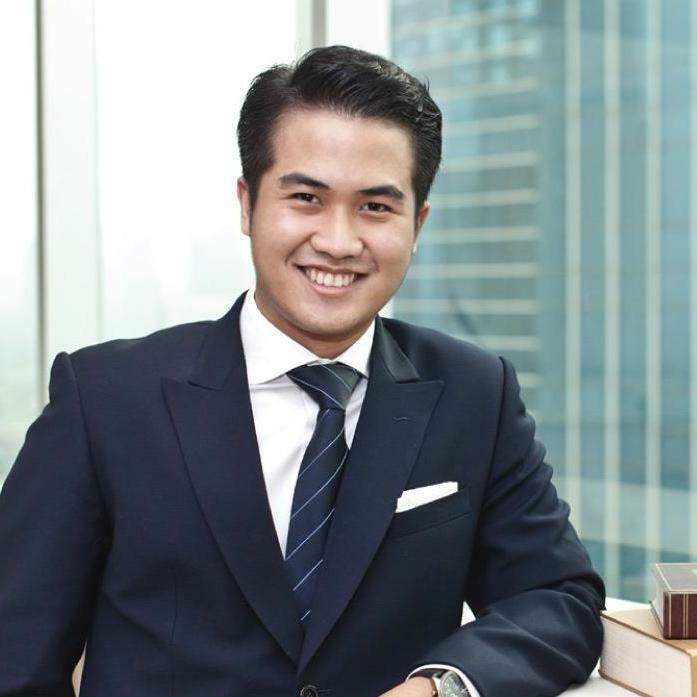 Upon completion of the JD program, he will become one of only a few Indonesian lawyers who understands and is qualified to practice in both Indonesia and Australia jurisdictions. Aditya previously worked at one of Indonesian top tier law firms, DNC, practicing several areas of law including banking & finance, sharia banking, mergers & acquisitions, capital markets, and commercial litigation, where he spent 4 years as an Associate. During his career as a lawyer, he has been assigned to secondment programs at UOB Indonesia and DBS Indonesia where he served as in-house counsel. Aditya has passed the Indonesian bar exam and is currently waiting to be sworn in as an advocate. He received his Sarjana Hukum (LL.B equivalent) from Atma Jaya Catholic University in Jakarta. He hopes in the coming years to hone his skills and knowledge as a lawyer and contribute to the development of Indonesia-Australia relations. Enda Ginting works as a resident advisor for the Word Bank. His role is to help the Indonesian government implement public financial management reform. Prior to his career with the World Bank, Enda worked for the Ministry of Finance of the Republic of Indonesia for around 9 years. He was involved in reforming the Indonesian treasury system. His hobbies include surfing, martial arts, rugby, tennis, and charity work in coaching English parliamentary debating for high schools and university students throughout Indonesia, which he has continued doing for over 15 years. 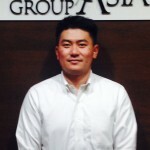 Enda holds a masters degree in Economics, Finance, and Management from the University of Bristol, UK, and spent his childhood living in Sydney, Australia. Rizki Nauli Siregar currently works as the Assistant to the Minister of Tourism and Creative Economy of the Republic of Indonesia. She earned her bachelor degree in economics from Universitas Indonesia (UI) and her masters degree in economics from Boston University as PRESTASI USAID’s scholar. Rizki has been trained as a researcher in economics and plans to further pursue a career as an economist. Before joining Minister Mari Pangestu’s team, Rizki contributed as part of the Institute of Economics and Social Research UI. 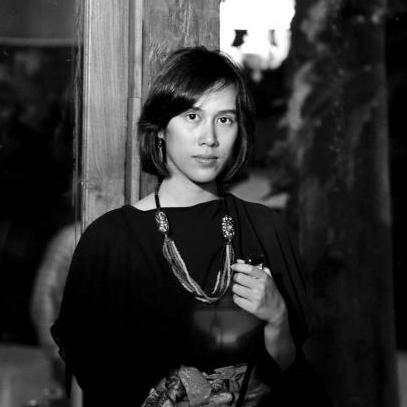 In 2013, Rizki was also trusted to assist Minister Pangestu during her candidacy as Director General of the WTO. Rizki is also a lecturer at the Faculty of Economics UI as well. 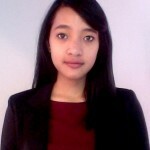 Rizki’s research interests include international trade, poverty, creative economy and development. Rizki is also an avid art enthusiast and aspires to create more art. Duddy Abdullah is currently an analyst at Principia Management Group, a portfolio servicing company for Private Equity. He previously graduated from the University of Melbourne with a Bachelor of Commerce and Bachelor of Property Construction. During his undergraduate days, Duddy was active with the Indonesian Students Association of Australia (PPIA) until he was appointed as the National President. After graduating, Duddy joined Indonesia Mengajar (IM) and was posted in Aceh and South Sumatera. It was during his term at IM that he realised the importance of stakeholder engagement and basic infrastructure such as roads, ports and electricity for economic and development progress. Duddy was also a youth delegate in the United Nation High Level Panel for the post-2015 Development Agenda. Duddy believes the most important thing about the Indonesia–Australia relationship is for both countries to diligently explore avenues to enhance professional relationships at a youth level and provide platforms for these relationships to be fostered. Astrid Kartika is a doctor who graduated from the University of Gadjah Mada. She also holds a Master of Public Policy from Victoria University of Wellington, after receiving a scholarship from the New Zealand government to pursue her studies. 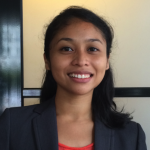 Astrid has worked in the Australian Department of Foreign Affairs and Trade (DFAT) since July 2011, based at the Australian Embassy in Jakarta. Heading up the Communicable Diseases Unit within the Health Section, Astrid is responsible for ensuring Australia’s current official development assistance on HIV and emerging infectious diseases is implemented effectively. Astrid also leads the design of new bilateral programs on communicable diseases. Prior to working with DFAT, Astrid had extensive experience working with numerous international agencies such as UNDP, WHO, and supporting the ADB program in the health sector in Indonesia.